Home > Mortgages > How Much of a Down Payment Do You Really Need to Buy a House? Looking to get your foot in the door (of your new home)? If you’re a renter who’s tired of paying someone else’s mortgage, now may be the time to pursue the American dream of homeownership. In fact, the days of needing a 20% down payment are long gone. While you can always elect to put down the full 20% or more, there are now many alternatives available. Here’s what you want to know if buying a house is in your future. However, keep in mind that your purchase offer amount – your buying power — drives negotiation. How strong you are on paper does help, but when you make an offer to buy a home, the seller of the property has no idea of your financial strength other than what your real estate agent tells them and what’s on your pre-approval letter. The price dictates whether you’re in the game for the house, or whether you’ll continue to be on the search. So, let’s say you don’t have 20% down for a home. While there are many benefits to having more equity in the home you’re buying, that doesn’t mean you’re out of the running for becoming a homeowner. There are options for lower down payments. An FHA (Federal Housing Administration) loan differs from conventional loans because it does not require a sizable down payment. They are often the best option for first time buyers or borrowers who may still be establishing their credit. It is also a good choice for borrowers that may have a bankruptcy or foreclosure on their credit file that may hinder their ability to qualify for a traditional mortgage loan. 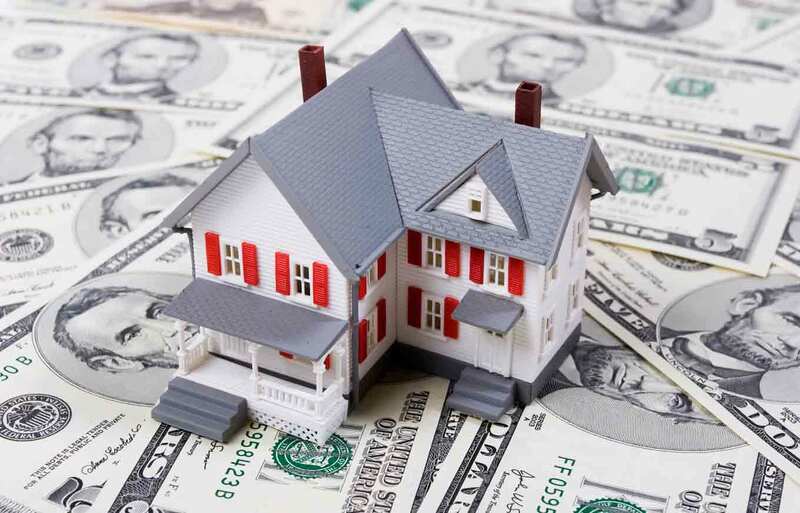 When you get an FHA loan, you also have to pay a funding fee. This is basically a monthly insurance premium alongside the upfront premium which will add to the overall cost of the mortgage. Additionally, you should remember that an FHA loan requires that you continue to pay a monthly mortgage insurance premium even when you have accrued equity on the home. FHA loans were created to help stimulate housing and provide lenders a way they can operate with less of a financial risk. FHA loans also allow you to get approved for a loan even if you have had some credit hiccups along the way or if you are in need of some additional funding for renovations or repairs. Qualifying for an FHA loan is much easier than trying to qualify for a conventional mortgage loan. No matter your income level, you can gain access to an FHA loan. You can check with several different lenders to see what their requirements are and there is no minimum income level required to qualify. However, you should still have a reasonable debt-to-income ratio, so you can show you can afford the monthly payments. Borrowers with lower credit scores or less-than-perfect credit are also likely to get approved for the 3.5% down payment. However, if you can pay a bit more toward the down payment of the home, your score can even be between the 500 and 580 mark, and you could still qualify. For an FHA loan, the minimum down payment you would need to buy a home is 3.5% down. Most lenders can lend up to $417,000 with the exception of Alaska, Hawaii, and Guam. An FHA loan comes with a monthly mortgage insurance premium, which can make it more expensive than a conventional mortgage. Another popular choice for buyers is using a conventional loan with 5% down. There are loan size amounts up to $417,000 (with the exception of Alaska, Hawaii, and Guam) going as high as $417,000 with as little as 5% down. An alternative to the higher-priced FHA loan, the conventional loan allows for getting rid of the PMI after accumulating 20% equity after a minimum of 24 months. An alternative to this program is a loan guaranteed by the U.S. Department of Agriculture, USDA. You need not be a veteran for this particular loan; however, in some areas, you may not be eligible to use the program due to tighter and more restrictive qualifying income-to-payment ratios and location. The program also only works for homes designated rural by USDA. Additional income limitations also apply. For example: For a family of four, a household income cannot exceed $96,400 per year. All of these options allow for the use of gift funds. Family members are excellent sources to tap for possible down payment or closing costs (usually about 2% of the home price). Even if you already own a home and are looking to upgrade, all of these programs could present a viable option to bridging the gap between buying a home for the right price in the right area of vs. continuing to be on the search. Conventional Conforming Loan — With conventional loans, you can get 95% financing up to $417,000. In counties where the maximum conforming loan limit is higher than $417,000, you can have up to 90% financing. For example: In Sonoma County, California, the maximum high-balance loan limit is $520,950. A loan exceeding $417,000, and up to $520,950, would require a 10% down payment. VA Loan – This type of loan allows for 100% financing all the way through the maximum conforming loan limit in the county in which the property is located. In fact, a VA loan can allow for even higher than the maximum conforming loan limit if you do have a down payment. USDA Loan – These loans allow for financing up to $417,000, but here’s the kicker: A buyer would need an income of $95,000 to qualify for a $417,000 loan — which is getting very close to the USDA loan maximum income limitation of $96,400. More importantly, lending qualifying ratios are more stringent for this program than any other. To qualify for a USDA loan, your proposed house payment before debts cannot be more than 29% of your gross monthly income, and the house payment plus other debts cannot be more than 31% of your gross monthly income. Remember: When you’re putting less than 20% down on a home, your monthly property taxes and fire insurance terms are required to be built into your monthly mortgage payment, and you’ll likely pay private mortgage insurance, too. Some lenders might offer an alternative option called lender-paid mortgage insurance — where the lender actually pays the monthly PMI, despite not using 20% down to purchase a home. Make sure to do your homework, and talk to your lender, so you know what your options are. Of course, it’s always important to have your credit in the best shape possible. Before you start your home search, give yourself time to work on your credit so that you can qualify for better rates. Check your free annual credit reports for errors or any problems that could be hurting your credit scores. Using free tools on Credit.com can also help you identify problems with your credit that you can work on to raise your scores — and you also get two free credit scores updated every 14 days, which can help you track your progress. What about putting down MORE than 20%? Of course you may do that — You can even put down 100% and buy with cash.